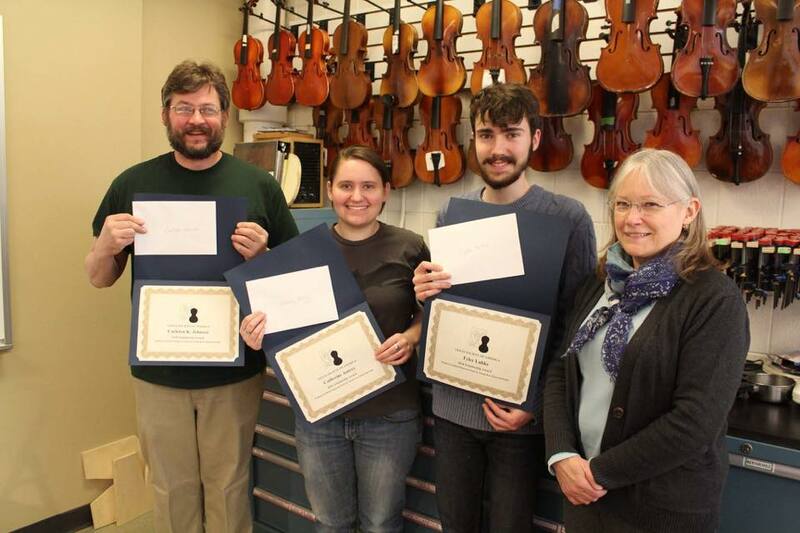 The Violin Society of America offers scholarship assistance for needy and deserving students of the art of violin and bow making and restoration. For this purpose the VSA maintains three funds: the Kaplan-Goodkind Scholarship Fund, created in memory of founders Albert J. Kaplan and Herbert Goodkind, the Kun Fund, created in memory of the noted Canadian bowmaker Joseph Kun, and the Aram and Rose Nigogosian Fund created in memory of the parents of Vahakn Nigogosian. Teachers and faculty of leading American violin making schools annually submit the names of those students most worthy of scholarship aid. If you are interested in a VSA Scholarship, please contact the program director. The scholarship program is funded by gifts from members and others, through donations of items for the Scholarship Auction (held during the competition week), or direct contributions. Please make a contribution to support the training of new violin and bow makers! Pete Morris. Pete was raised in Savannah, GA and has bachelor’s degrees in Nursing and Turfgrass Management. He has a love of playing music which grew into a need to know how the instruments were built. Pete is in his second year of study at the VMSA and has completed two violins in the white and working on a third. He also has built a violin at home in the evenings after school that is completed and being played. Before starting school, he has also attended a bow making workshop with Lynn Hannings where he made two violin bows. Paige Henson. Paige was raised in Norwalk, Connecticut, and received a BA in Anthropology and Music Theory from St. Lawrence University in Canton, New York. 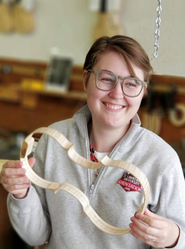 Even though she had no woodworking experience prior to starting at the VMSA, Paige chose to attend because of her passion for music and her love of working with her hands. She is currently a second year student at the VMSA, where she has completed three violins in the white and will be learning repairs over the summer. Shelby Martignacco. Shelby grew up in Idaho Falls, Idaho where she fostered her love of stringed instruments, playing viola for over 14 years. She began her violin making training in Chicago at the Chicago School of Violin Making in 2015 and transferred to the Violin Making School of America in 2016. Having attended both schools has given her diverse insights in the field and techniques used in violin building and varnish. Mike Dunham. Prior to attending the Violin Making School of America, Mike worked as a Chemical Engineer and Materials Scientist for more than 30 years. He is wrapping up the plates for a cello and preparing to varnish the several violins and a viola already completed in the VMSA program. 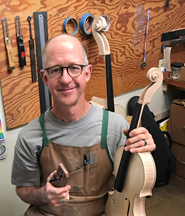 After many years working with modern high tech materials, Mike is especially excited to be learning about the resin polymers, natural colorants, and very old processes used to make and apply violin varnishes. Upon graduation Mike plans to return to his home in Flagstaff, AZ to make violins and help care for the instruments in community’s string music education programs. The VSA scholarship helped Mike attend the Summer repair course offered by VMSA. Bob Spetz. Bob and his wife lived in Bozeman, Montana before moving to Salt Lake City so Bob could attend the VMSA. 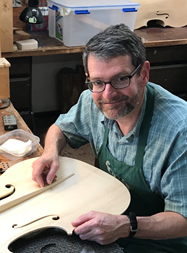 Bob worked in the field of lasers and optics for twenty years before deciding to pursue his passion for music and express his creativity in woodworking by becoming a violin maker. Bob is currently in the varnish and setup portion of the program at VMSA, is working on the scroll of his final school program violin, and is also making several instruments at home. The VSA scholarship will help Bob afford the Summer repair course at the VMSA. Benjamin Ward. 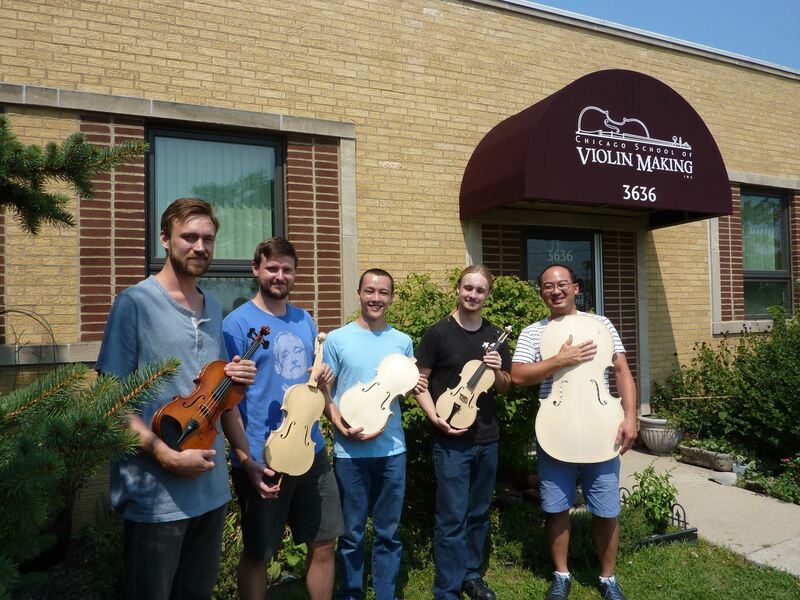 Benjamin Ward received no formal woodworking training before school, but since his admission into the VMSA in fall of 2016 he has finished 3 violins in the white. Being a long time violin player, and a having curiosity for the detailed workings of the violin led Benjamin to the school. He has thoroughly enjoyed learning violin making, and will be learning to perform more extensive repair work over the summer. Dylan Kole. I was born and raised in Grand Rapids, Michigan and have been playing the viola/violin since 5th grade. I worked for the family business as a roofer after high school. After visiting the workshop of a family friend who was a violin maker, I decided to enroll at the Chicago School of Violin Making. I have completed three violins so far and I am expected to graduate in the summer of 2019. 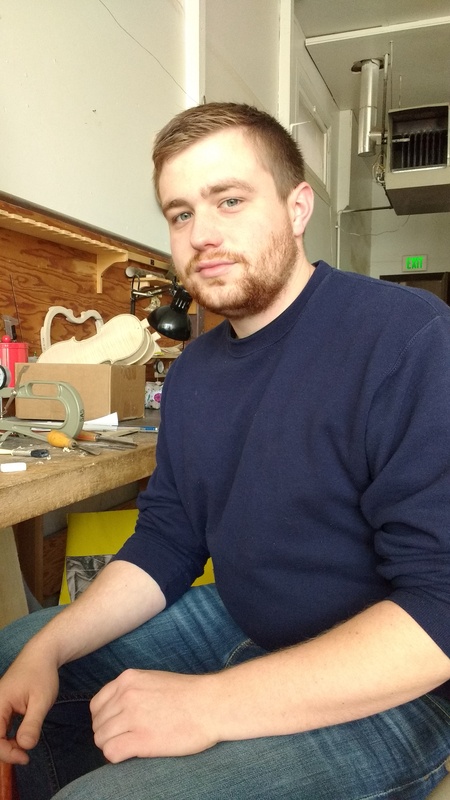 Aaron Ryker began attending the Chicago School of Violin Making in 2016. He is currently working on the construction of his second violin under the instruction of Rebecca Elliot and Fred Thompson. In addition to these he is helping to make a double bass as well as repair and set up a violin commissioned outside of school. Steven Russell Thomas was born in St Albans, England June 5 1990. Moved to the Chicago area when he was about 2 and was raised in the western suburbs. Began attending the Chicago School of Violin Making in January of 2015. Since has completed all the requirements for graduation and also an additional violin at home through set up. 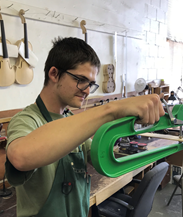 In his second year of school he began working at the bench for Peter Seman at Seman Violins. Honing his set up knowledge and learning about repair and varnish touch up. He is very thankful for the scholarship that the VSA has provided to help him reach his goals. Angela Handshoe is a recent graduate of the Minnesota State College Southeast Violin Repair program. Before entering the program, she began her experience in instrument repair at the locally-owned dulcimer shop, Simple Sounds Inc., located in her home town of Shipshewana, Indiana. After her high school graduation in 2017, she began work at the larger music corporation, Quinlan & Fabish Music Company, which allowed for her to focus primarily on violin repair. 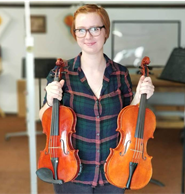 In the fall of 2017, Angela traveled from Indiana to Minnesota to attend the Violin Repair program in Red Wing, and graduated in the spring of 2018. Currently, Angela is shadowing VSA members Kevin Rouch and Mark Dill at Quinlan & Fabish Music Company, and plans to learn as much as she can from the both of them. 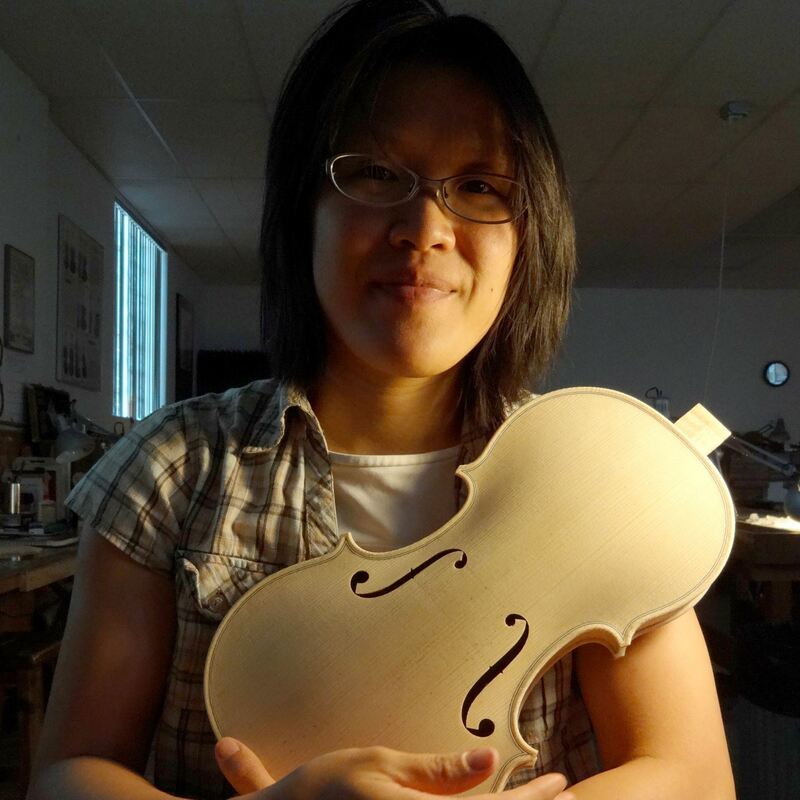 Angela is in waiting for the reestablishment of the violin making program at Minnesota State College Southeast in Red Wing, Minnesota, and plans to take the course upon its reinstatement. Brawley Campion. 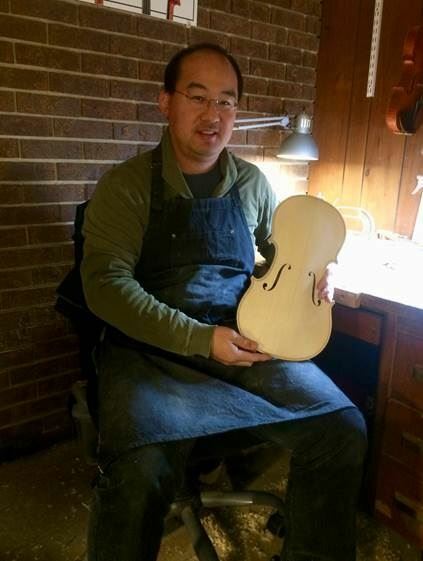 I am a student and recent graduate of the Violin Repair program at Minnesota State College Southeast. In the summer of 2017 I applied to MNSCSE with the dream of becoming a luthier. I spent the school year loving the program and work under fantastic instruction. I’ve learned so much about the violin family; history, construction, repair, and even playing techniques. So fortunate to have found the career path that resonates and fulfills me in life, I am extremely excited about my future in this field. I will be returning to MNSCSE for the 18-19 school year as a Guitar Repair and Building student, and likely the year following for further instruction. The Violin Society of America has recognized the efforts of students in this field, and I want to thank them for awarding me with this scholarship. Brooke Esplin. A native of Phoenix, Arizona, Brooke enrolled in her high school’s welding and woodworking classes as a way to decompress from academics. She then spent a year at Brigham Young University jumping between majors in opera, engineering, and wildlife science, but couldn’t find anything that quite matched the joy she found while working with her hands. After completing a year and a half long full-time service mission for the Church of Jesus Christ of Latter Day Saints in southern Spain, she moved to Boston to begin studying Violin Making & Repair at the North Bennet Street School. At school she gets to do what she loves every day, surrounded by a community of musicians and makers, and couldn’t be happier. She feels very honored to receive the support of the Violin Society of America in pursuing her craft. Julie's in her final year of musical instrument repair at Minnesota State College Southeast where she's learned to mend violin family instruments and guitars. Life events prompted her return to college after 16 years IT communications work. She enjoys music, languages and traveling and has lived in 4 countries: teaching English and practicing t'ai chi ch'uan in China, absorbing bossa nova in Brazil, gorging on spaghetti in Italy, and engaging in the American communities she calls home. Outside school, she volunteers with Red Wing's HOPE Coalition. Julie attended the VSA's 2016 Convention (then as Julie Moxley) and plans to pursue a career in string instrument repair after graduation. Ruth Miyamoto holds a Bachelor of Music Degree in Cello Performance from the University of Massachusetts Amherst, where she studied with cellist Astrid Schween. A few years after graduation, with no experience, she decided to apply to Minnesota State College Southeast to study Violin Repair. Not knowing what to expect, Ruth quickly became engrossed in the world of violin luthiery, eager to learn all that her instructors had to offer. She attended the 2016 VSA convention and competition, where she was inspired to join the community of Violin makers and restorers. Ruth now works at Atelier String Instruments in Connecticut, where she will continue her learning under Constantin Popescu. Ruth is very grateful for the VSA for awarding her this scholarship to help support her success in her new career. Andrew Hooper was raised in Danville, Kentucky, graduated from Boyle County High School and formed a music industry centered small business while attending Eastern Kentucky University. He is currently a second year student at the Violin Making School of America working on a viola. Primarily an upright bass player, he has a passion for music and helping out the local music scene. Joel Thompson received his BM in performance studying cello and viola da gamba. Before entering the Chicago school of violin making, he apprenticed for two years with Linda Shortridge making and repairing violas da gamba. He is currently in his third and final year at CSVM and is very grateful to all members of the VSA who contributed to the scholarship fund. It provided a tremendous leg up on the final lap as a student. Mary Jane Kwan of Austin, TX is a third-year student at CSVM, where she currently is varnishing her cello. She learned setup and repair working at A440 Violin Shop. She is a participant of the Oberlin Acoustics Workshop. She draws comics for her violin making blog at fixitwithshading.com. Mary Jane is very thankful to the VSA for this scholarship and to everyone who has supported her in becoming a violin maker. Ona currently works for the Merit School of Music where she is an independent contractor doing repairs on student instruments. Tommy is a lifelong woodworker and has been a professional woodworker most of his adult life. He has made several stringed instruments including acoustic guitars, octave mandolins, ukuleles and an electric guitar. He has briefly worked at Classic Violins in Mundelein, Illinois. Before attending the Chicago School of Violin Making, Ilsa had no previous experience. She has played violin her entire life and is currently employed by Austin’s Violin Shop in Sugar Groove Illinois where she works the front desk and mantians rental instruments. 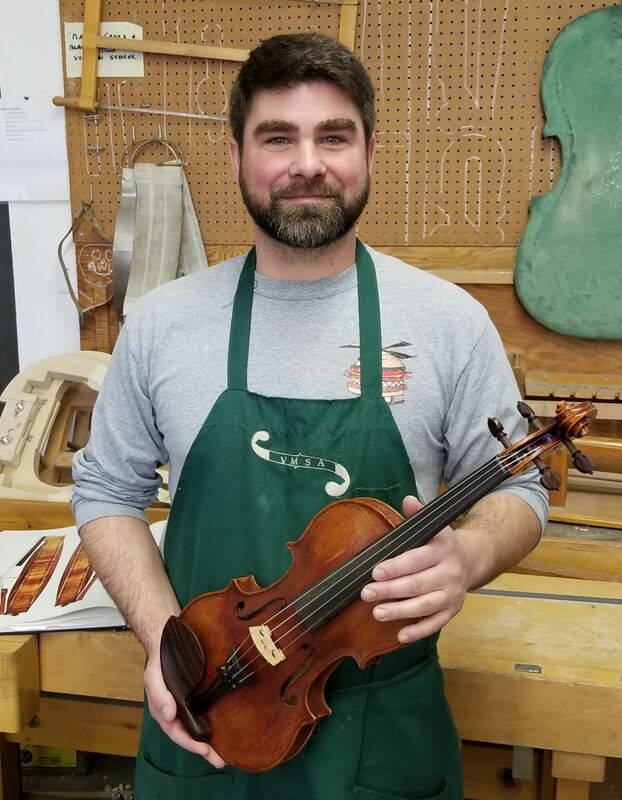 Tyler started at Red Wing with no past experience in the field of violin making and restoring. He has yet to officially work at a shop outside of school but has helped out with miscellaneous tasks at Claire Given’s shop in downtown Minneapolis. Carleton has focused on the construction and repairs of acoustic guitars. He is currently working on a viola da gamba and bow in addition to a school violin. Catherine has no experience in the field other than playing the violin, although she greatly enjoys the program she is currently enrolled in. Seth arrived at violin making when he was living in New York City. He working on custom furniture and playing violin on the side, dreaming of getting into the violin making field but couldn’t see it as a reality. One day while he was browsing at the library, he found a short book on violin making and it sparked his interest immediately. Soon after he learned an acquintance of his was a violin maker in the lower east side of Manhattan. After visiting his shop and talking about the trade he decided that attending the North Bennet Street School was his best option. “Violin making has been even more fulfilling than I immagined. I have finished three violins and am currently working on a viola. I look forward to bringing my passion into the field and learning from current masters. I’ve had the privilege of spending a week in Cremona, Italy connecting with makers there and being in the presence of the home of Stradavari, Del Gesu, and Amati. Evan has spent most of his life woodworking in some degree, mostly making instruments. He first started by nailing a couple fo 2x4’s together and attaching strings across, making “guitars” from as young as five years old. He bagan playing music at a very young age, starting with piano then later migrating to upright bass. During high school he started apprenticing with Boyd Paulson. Upon completing high school he moved to Brooklyn, NY to intern at Fodera Guitars and the following year he started the violin making program at North Bennet Street School. In the summers since beginning at NBSS, he has had internships with Arnold Schnitzer and Boyd Paulson and has taken varnish courses with Chris Pederson. Evan also contributed to the International Society of Bassists; “Build a Bass in a Week” project, in the summer of 2015. Mike Murray grew up on a small farm in rural Idaho and enjoyed playing instruments, singing, and loving music. Later during his college years at BYU-Hawaii, I was introduced to the arts and really took to drawing, painting, and ceramics. It took years to figure out how to marry the disciplines. That's when I discovered instrument making. After finishing a Bachelors of science degree in business, I moved to Utah to attend the Violin Making School of America. The incredible marriage of design, craftsmanship, music, history, and all the arts has captivated my mind, and will do so for years to come. Spencer Stenquist was born in Lompoc California in 1993, graduated High School in North Ogden Utah in 2012 and began studying at the Violin Making School of America in 2015. He is currently on his second year of school finishing up his third violin. He also does work for Scoggins and Scoggins Violin Shop in Salt Lake City. 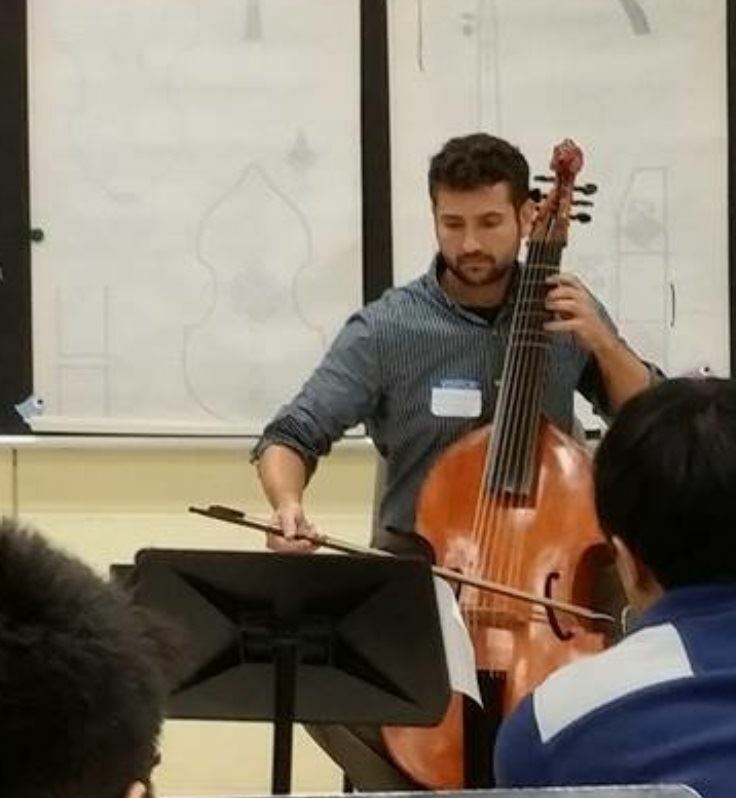 While attending the magnet program of Wheeler High School, Zachary was required to fulfill an internship of his choice, as long as it applied to his field of study in his acoustics program. He secured a spot at Williams Gengakki Violins in Atlanta Georgia, where he worked closely with owner Reginald Williams, and his makers Cameron Robertson and Ryan McLaughlin. Both these makers taught Zachary an elementary overview of woodworking, tonewoods, tools used in violinmaking and the life in a shop. Mr. Williams focused more on violinmaking history, matching instruments to bows, and how to deal with customers. Click here to view previous scholarship recipients!